There's a new summer coupon code for V2 Cigs! This coupon code is good for 10% off all purchases at V2 Cigs. Basically, the 10% discount is valid on ALL V2 Cigs merchandise. When you place your order at V2 Cigs, just enter the coupon code "v2save10" in the coupon code box at checkout. The 10% discount will be automatically applied to your order for you. V2 Cigs Limited Edition Sale! Top e-cigarette brand V2 Cigs has some special Limited Edition products on sale right now. But you gotta act fast as they're going quickly! And they're only on sale while supplies last. What's On Sale At V2 Cigs? 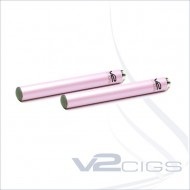 $24.95 - V2 Pink Standard Automatic Batteries - The Standard Length V2 automatic e-cigarette battery is the most popular battery V2 Cigs offers. It's the perfect balance between weight, length and operating time. The V2 Automatic Battery is the easiest to use of you're new to electronic cigarettes. All you do is puff in order to activate the atomization process. Note: Automatic e-cigarette batteries will usually get somewhere around 25% more puffs between recharging than manual batteries do. $9.95 - Limited Edition V2 Passion Fruit Cartomizers - Light Strength - 0.6% Nicotine (6mg / 1000 mg dilution). Sold in 5-pack quantities only. The Limited Edition V2 Passion Fruit Cartomizers are the perfect gift for Mom! They're also perfect for anyone who likes passion fruit. 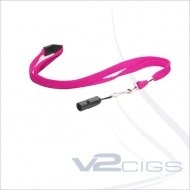 $9.95 - V2 Limited Edition Pink Lanyards -The V2 lanyards are new and improved, and give you a great and easy way to keep your V2 e-cigarette safe and handy at all times! These V2 Cigs lanyards are made of custom-molded rubber, and are specifically designed to use with yourV2 e-cigarette battery. It also has drilled air-holes, which allow your V2 e-cigarette to function while attached to the V2 lanyard. Note: This lanyard is also very handy if you want to transfer e-liquid from one cartridge to another, as well as for refilling your cartridges using the Taryn Spin method. Missed The Limited Edition Sale? No Worries! You can use this special coupon code each time you order and save 10% on all your e-cigarette purchases! So whether you want e-cigarettes, e-liquid, a starter kit, or accessories, this coupon code will save you 10% on all your orders at V2 Cigs! South Beach Smoke has recently added five new e-cigarette cartridge flavors. Of course, they still offer their original flavor lineup (see below), but with the addition of these new flavors, things have certainly gotten more interesting for South Beach Smoke vapers. Tobacco Blue is the perfect alternative for vapers who enjoyed cigarette brands like Marlboro Lights, Kent, Parliament, Benson & Hedges, Viceroy, Merit and L&M. Tobacco Blue is an authentic, smooth, refined tobacco flavor with a clean finish. As South Beach Smoke describes it, Tobacco Gold is exotic and exciting, very rich and full-flavored. If Turkish tobacco and Middle Eastern tobacco are your thing, then you'll love it. Tobacco Gold is for smokers who are used to Camels, American Spirit and European cigarettes. It's blended for smokers who are looking for a rich tobacco flavor. A fun flavor, Piña Colada adds some zing to the South Beach Smoke flavor collection. It's a rich and creamy flavor that is very much like the tropical drink, and great for when you want to vape on something tasty, tropical and relaxing. Feel like you're at the beach all day long with this new, popular flavor. Just like you'd expect, South Beach Smoke's Peach flavored ecigs are peachy! The Peach flavor is clean and refreshing, with just the right amount of fruity sweetness. And since peaches are such a juicy, yummy and popular fruit, I doubt many will be able to resist this cartridge flavor. Sweet and delicious, indeed. The sweet, yet cool taste of peppermint is what it's all about. Cool, tingly and smooth, the peppermint flavor is reminiscent of menthol, but also quite different. 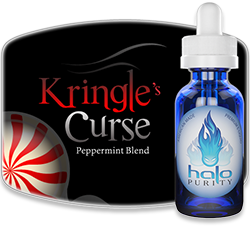 The peppermint flavor will refresh your palate and leave your mouth feeling fresh as you vape. If you like minty, menthol-like flavors, then be sure to give this one a try. The new Power Banks are in. 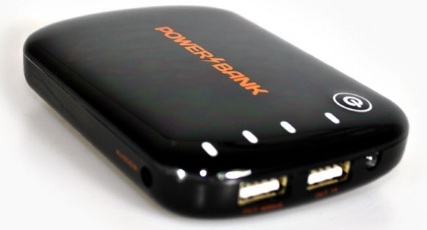 So now you can power your e-cigarette devices on the go with the new Power Bank from Volcanoecigs. 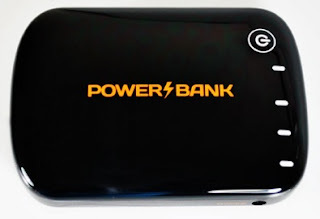 So just what is the Power Bank? Well, it's a high-capacity mobile charger that you can use to recharge any of your Volcanoecig products, as well as charge any USB powered device, such as: cell phones, iPhones, iPods and more. The Power Bank comes fully equipped with a USB adapter and eight (8) universal plugs that will fit virtually any mobile device. So you can use it to charge your Volcanoecigs products, as well as your cell phone, iPod, etc. Wanna check out the new Power Banks? Go to Volcanoecigs and click on "VOLCANO Accessories" under the main "Accessories" navigation link at the top of the page. With the start of summer coming up, V2 Cigs is getting ready for some fun in the sun. And they're also offering a special two-day sale. On sale are their starter kits. For two days only, ALL V2 starter kits are 20% off! The V2 Cigs 20% off sale starts today (June 14th), and ends tomorrow, June 15th. So don't wait! 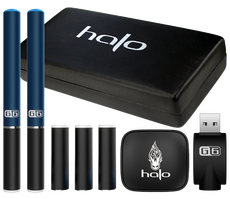 Now's an excellent time to take advantage of the great savings and get yourself an e-cigarette starter kit. And at 20% off, there's no better time than now to get one. Yep, it's time to drop the nasty habit and start vaping! 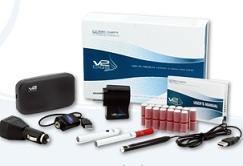 To get your V2 starter kit at the 20% discount, go here. The discount will be applied to your order automatically at checkout. And trust me when I say it, V2 Cigs is top-notch. In fact, they're our number one pick when it comes to e-cigarettes. Not only are their ecig products the best you can buy, but their prices and customer service are awesome as well. And this is why they're a favorite among vapers all over the world. Missed the Sale? Don't Worry! Starter Kit - $40 Off! Good news for those of you who are looking for an awesome Father's Day gift for Dad. 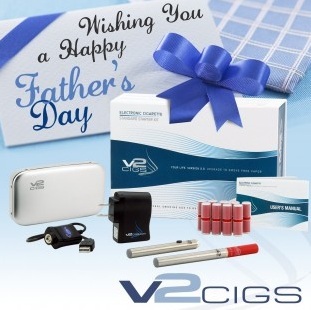 V2 Cigs is offering a special Limited Edition Father's Day starter kit, and knocking $40 off the price as well! This V2 starter kit is packed full of hand-selected goodies that are sure to impress. V2 Cigs has taken their standard starter kit and upgraded it with a stainless steel Portable Charging Case. The kit also includes two stainless steel batteries, as well as their most popular cartridge flavor...V2 Red. A special Father's Day card also comes with the kit. It's a nice way for you to personalize your gift and make Dad one happy camper. So if you're looking for a great gift for Dad this Father's Day, be sure to check this one out. No doubt he'll love it! 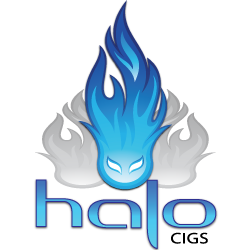 • E-cigarette Coupon Codes - Ecig Sales, Discounts and Specials! 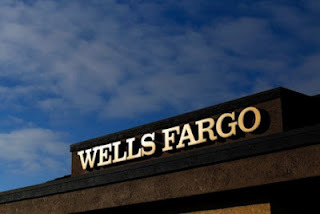 Wells Fargo - Electronic Cigarettes The Next Big Thing? Electronic Cigarettes - The Next Big Thing? According to a survey done by the Wells Fargo Securities Tobacco Talk, electronic cigarettes certainly stand a fighting chance in the tobacco industry. Retailers have been thoroughly impressed with the electronic cigarette products they've been selling. And they've been even more impressed by the revenues they're bringing in. In fact, electronic cigarette sales have skyrocketed to $350 million, even as the ecig industry waits for ground rules (from the FDA) for manufacturing electronic cigarettes. Murray Kessler, the CEO of Lorillard, Inc., which recently acquired blu Cigs, says the industry is expected to earn over $1 billion in the next few years. This is no surprise to me since ecigs don't contain the 4,000+ chemicals that regular tobacco cigarettes do. 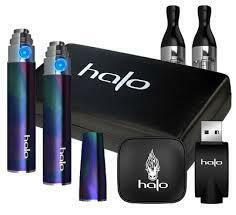 Couple that with the fact that ecigs are also cheaper, and you have a product that people truly want and enjoy. More Ecig Acquisitions To Come? It was only recently that Lorillard, Inc. became the first of the three major tobacco companies to acquire an electronic cigarette brand with their purchase of blu Cigs for $135 million. 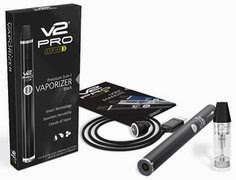 Herzog believes the massive growth that the electronic cigarette industry has experienced thus far is very similar to the huge boom of energy drinks in the recent years. 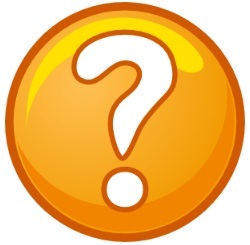 "We think ecigs are to tobacco what energy drinks are to beverages. In other words, similar to energy drinks, ecigs are profitable, growing quickly, gaining shelf space and consumer acceptance; therefore, e-cigarettes are an important new niche category for retailers." I'd have to agree. 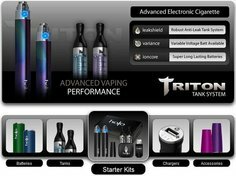 Electronic cigarettes fill a huge consumer demand for the countless many who are looking for a better, cheaper alternative to analog cigarettes. Ecigs have been a huge hit so far, and I fully expect them to eventually replace tobacco cigarettes almost completely. It's a simple a case of how technology works in the marketplace. And in this case, e-cigarettes are like email and texting, whereas, tobacco cigarettes are like snail mail. And as history has proven time and time again, technology always wins. Deal of the Day - 10% Off! When you use the V2 Cigs coupon code "fullvapor" at V2 Cigs you'll get 10% off your order, no matter how big or small it is.